Cumbria Tourism – the county’s official Destination Management Organisation – is planning to emulate the 25 million reach achieved in last year’s winter marketing campaign with the launch of a FREE marketing toolkit to support its 2,500 member businesses through the winter months. The toolkit comprises a wide range of marketing resources including striking imagery and seasonal itineraries for businesses to integrate within their own marketing, to promote themselves and Cumbria as an all-year-round visitor destination. The toolkit is available to download as part of Cumbria Tourism’s Winter marketing campaign that runs until mid-March 2018, and supports the trade through to the crucial Easter holidays. The aim is to showcase the wide range of events and attractions people can enjoy throughout the winter, by sharing content, images and itineraries to inspire staycations and drum home the message that visitors are welcome at any time of year. 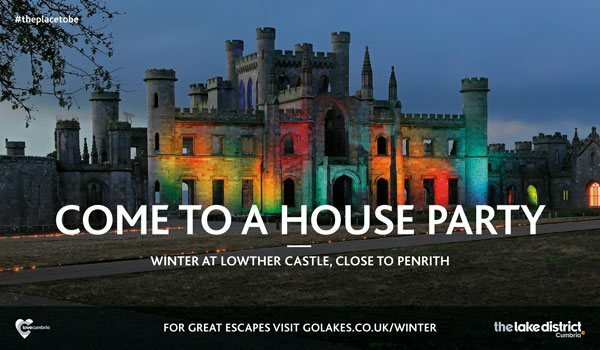 Early indicators show this year’s campaign is already performing particularly strongly with visitors to the winter section of www.golakes.co.uk up compared to the the same period last year. PR successes continue to gather momentum with national travel reviews featuring in The Independent, Evening Standard, The Times and The Sunday Post Scotland promoting Cumbria as the ideal winter destination. For the second-year businesses are also able to be part of ‘LoveCumbria’, the winter rewards card for visitors. Businesses can put forward offers to the scheme or they can use the cards to encourage winter trade.